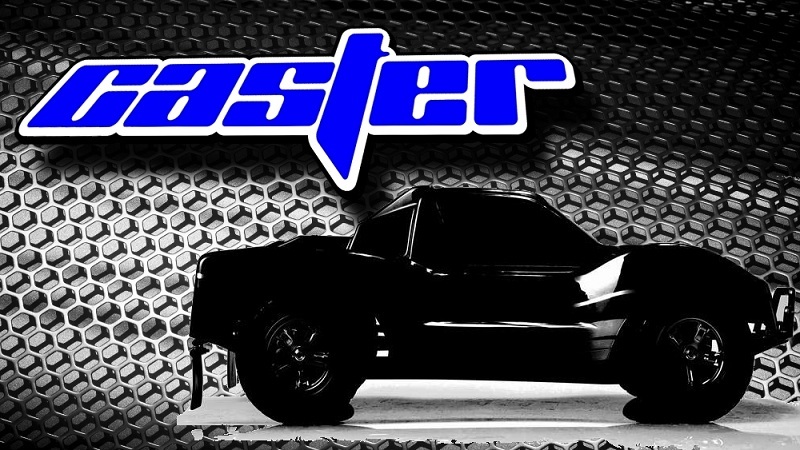 RC Car Action: There are reports around the web about Caster Racing USA developing a new 4WD short course truck, including a testing video that has gone viral. Can you confirm if these reports are true, and what can you tell us about it? What is the name of this new truck? Mike Mazza: Yes, we are actually testing the RTR version over here in the United States. I wanted to get a good feel for what it is we are bringing to the marketplace before we actually release a new product this time around. Usually they test everything over in Asia, but this one has to be right for the US market first and then Europe and Australia second. But usually, it is our ideas that make the Caster lineup better in the end anyways. To be honest, we have a few things floating around. Personally I am not a huge fan of letters and numbers, but the logical choice will probably be SC10B or C10SC. I can basically say that we will have 2 versions and the pro will definitely make a huge impact on the scene in a pro Caster way that hasn’t been seen to this point. 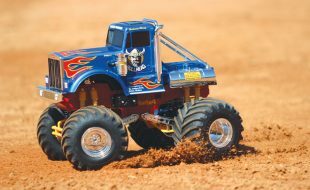 RCCA: How long has this truck been in Development? Is this new truck a design from the ground up, a conversion from an existing Caster Racing USA vehicle, or something entirely different? MM: Well, that depends on who you talk to. I have wanted one since the day the Slash came out and have been tinkering with ideas ever since. The engineers in Asia finally agreed that the SC craze is not only not going away, but is increasing in market share outside of the USA. So basically, we agreed about 9 months ago to design a SC truck off the buggy using as many parts as possible without sacrificing anything for either platform. The best part is that there are a million different options for these vehicles. 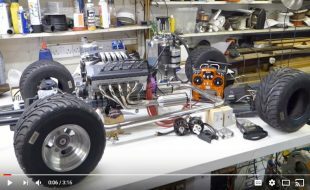 RCCA: In the video this new truck appears to be electric. Is there also a nitro version in the works? MM: We have on the backburner a complete 1/8 version ready to go just in case the market changes. If we go that route, then sure, we have a SC8. The hard part is trying to guess what the market is doing and where it is going, but luckily, we usually have a great finger on the pulse of the industry. As for the 1/10 version, we do not have any nitro cars at all. However, with the way it is set up, one could easily get a nitro motor and a tank in there instead. I guess if I knew how many Slayers were sold, then I might have a different opinion, but from what we see in the industry, electric is all that is needed. Besides, we put ourselves on the RC map with electric back in 2008. 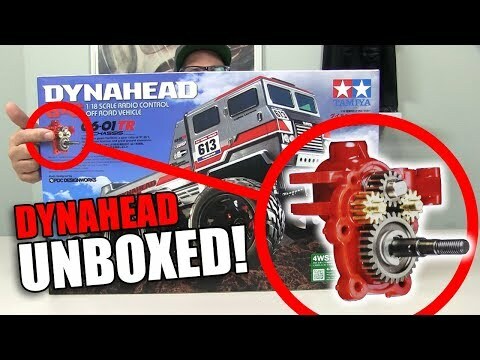 RCCA: Will this new truck be offered as a kit, RTR, factory roller, etc? If a RTR can you tell us what electronics we can expect to see with it? MM: There will be a plastic RTR version with a hobbywing esc kit and a decent servo and a 2.4 GHz radio. It will be perfect for indoor tracks and for people who want to get involved in 4×4 SC racing as a entry level but medium grade product. There will be an aluminum pro kit that will need assembly. My goal for the Pro was simple. If I was Mugen or Xray, what would I want it to be? Then we started working from that viewpoint. Best part is that we already have been testing and solving issues from the buggy, so in theory God willing, this will be a car that is problem free out of the box from serial #000001, which is typically not industry standard. 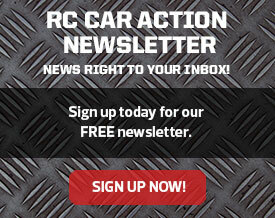 RCCA: Is there a 2WD truck in development as well? Possibly even a short course buggy? MM: I am not sure if the engineers over there are talking about a 2wd SC right now. That is originally what I wanted, but we try to look at product lifecycle and my opinion is that 4wd is in its infancy and 2wd is over the hump. Now do I think sc will go away? Not on your life, but things change such as the new SC Buggy. 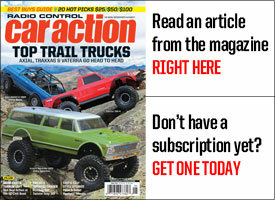 RCCA: What can you tell us about the dimensions of this new truck? Will it be ROAR legal? Does it use 12mm hex wheels that are compatible with many existing short course wheels, etc? And is this new truck 1/10th scale? MM: It is slightly longer and wider than the OFNA. The RTR weighs over a pound less than the OFNA also. 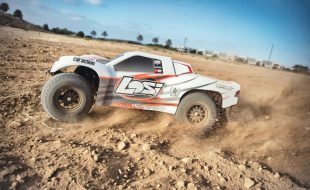 As for ROAR legal, it is barely over with our RTR wheels, but I am sure it will be ok with Kyosho wheels or Traxxas fronts and the narrow wheelbase ones that are available by the aftermarket wheel companies. Of course it uses 12mm. I do not want to limit my team or my customers if they want to run JConcepts or Panther or whatever else they desire. It is based on 1/10 parts, not 1/8 parts if that is the question you are really asking. 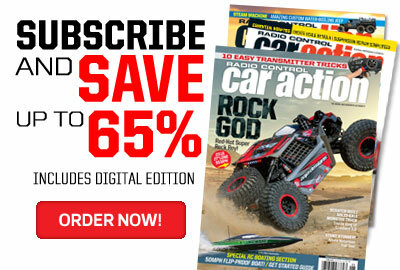 RCCA: When do you plan to release this and do you have an idea what the street price will be? MM: We are hoping that the RTR will be available within 60 days including shipping, probably less, but I do not want to be that company where there is a delay for a week or a month. 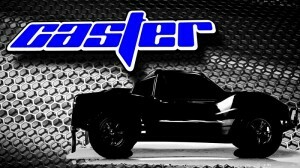 The pro will be here just in time for the 2012 season for those of us who are not in the southern climate. Hoping for March 1, but who knows. There is a big change I want to do that I think is simple, but might not be for the pro, so I am allotting extra time for CAD and CNC design. 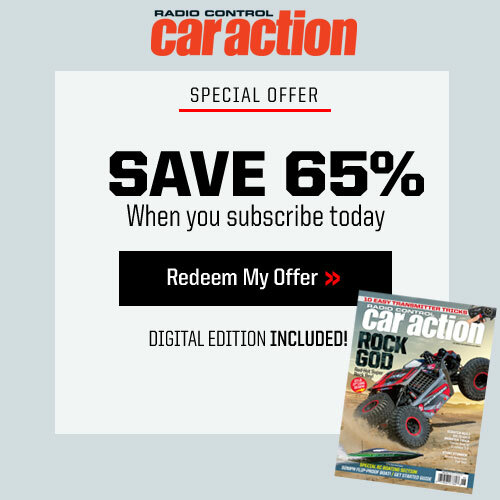 RCCA: Finally, since there are so many other 4WD short course trucks out in the market already for a consumer to choose from, what do you think is the number one thing that sets this new truck apart from all the other trucks and makes it unique? MM: Well, I do not think there are a lot at this point compared to a lot of the other classes, but what makes us unique? Well, for one, Caster has always been known for exceptional handling. 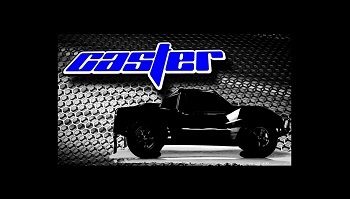 Caster also is known for being interactive with our customers. As for the truck itself, that is easy. Almost everything is available in more than one form. 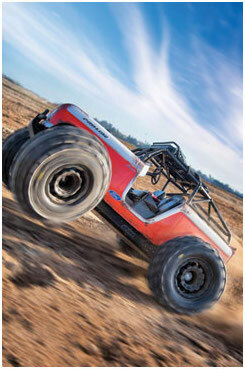 For example, it comes with a gear diff and we have ball diff available too. We have CVDs or dogbones. We have aluminum or plastic parts for almost everything. We have carbon fiber available for the flat parts such as the chassis, towers, top plates, and battery hold downs. It is the perfect 10 concept. Let’s do it this way. Remember that the pro will have all aluminum parts and the RTR will have all plastic parts. Here are the parts that are the same from one to another. Swaybar and parts, diff housings, screws, bearings, rods, ends, balls, shocks, not including springs or pistons. Otherwise, you can upgrade a RTR with aluminum or lighten up a pro kit with plastic if you so desire. Everything else has choices for your driving style, your track, and your setup. 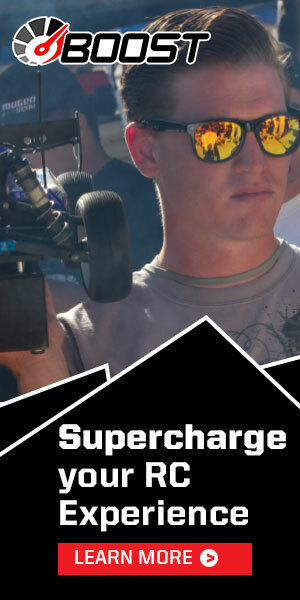 Thanks Chilly and we will see you on the tracks in 2012.